After a stroke, Allen Witcher required complex surgery, followed by months of physical therapy and rehabilitation. Thanks to that comprehensive treatment, Allen now relishes each new day he has to enjoy. Married for 54 years, Allen and Betsy Witcher like being active together. 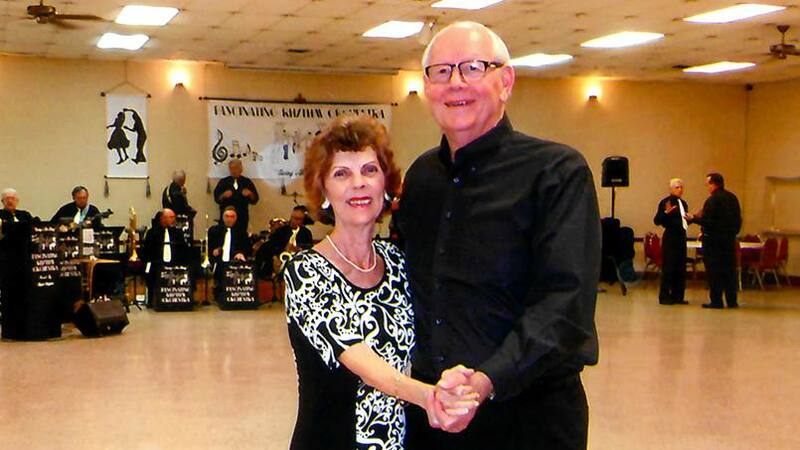 They particularly enjoy ballroom dancing and going for daily walks. But it was after one of those customary walks that life took a dramatic turn for the couple. On Oct. 4, 2015, back from their daily trek, Betsy found Allen collapsed on the bathroom floor, conscious but unable to speak. Allen had suffered a stroke. The stroke affected Allen's ability to speak, swallow and use the right side of his body. His long-term outlook was uncertain. Experts at Mayo Clinic looked to a unique surgical approach to open blocked blood vessels, put Allen on the road to recovery, and allow him and Betsy to return to their active ways. "Looking at where I've been and where I am now, it's a miracle," Allen says. "I'm a walking miracle." After Betsy discovered him on the bathroom floor, Allen was transported by ambulance to a hospital near their home in Jacksonville, Florida. A CT scan revealed Allen had an ischemic stroke, in which blood clots were plugging his arteries. One of the main blood vessels that delivers blood to the brain and head — a carotid artery — was blocked, as were many other intracranial blood vessels. Allen's care team attempted to use clot-busting drugs to break up the blood clots, but they soon realized he would need other treatment. Allen was transported to Mayo Clinic's Comprehensive Stroke Center, where endovascular neurosurgeon Rabih Tawk, M.D., was on call. "The unique aspect of Mr. Witcher's case was how many occluded vessels he had," says Dr. Tawk of the number of blood vessels that were blocked. "We needed to address each one in order to maximize his recovery. But we also needed to minimize risk for further damage." Because a carotid artery was completely blocked, the team needed to proceed carefully. "The challenge is that once you open the initial vessel, there is a high risk that showers of emboli from the restored blood flow could migrate and block smaller vessels," Dr. Tawk explains. "This would potentially make the outcome worse and the procedure to open the vessels more difficult." Dr. Tawk first placed a balloon into Allen's carotid artery to block any debris from traveling to other blood vessels. Then he used several different devices and techniques to re-open each one of Allen's affected vessels. "We used stent retrievers as well as aspiration catheters separately and together to remove the blood clots from six blocked sites," Dr. Tawk says. "Once those blood vessels were cleaned, we removed the balloon and restored the blood flow into the carotid artery." The surgery took almost five hours. Betty remembers that when Dr. Tawk came out to see her, he was optimistic. "He said, 'We worked very hard, but we got them all,'" she says. "I was so relieved." But whether Allen would regain all the function he had lost remained uncertain. Because no one knew exactly when Allen's stroke started, it was difficult to tell how much permanent damage he may have sustained. "We didn't know when his symptoms began, so there was no way of being certain how long his brain had been deprived of oxygen," Dr. Tawk says. "I was worried about what his limitations were going to be. It was very frightening," Betsy says. "But every day I had a glimmer of hope because every day he progressed." Betsy was thrilled when Allen first moved his right toes. Then, over the following four days, Allen began to move his fingers. He recognized pictures of objects, and he started speaking. Allen was discharged from the hospital and began two weeks of physical therapy at a local rehabilitation center. After that, he transitioned to outpatient therapy three times a week for three months. His progress continued. On the anniversary of Allen's stroke, Betsy sent Dr. Tawk a thank-you note. "I don't know what would have happened if he hadn't done that interventional procedure," Betsy says. "Dr. Tawk worked with Allen until he was sure he had done everything he could do. And he was always positive and encouraging and hopeful that Allen could improve and have a great quality of life." "This is one of the most rewarding interventions in medicine to see — when you can change the course of a disease and make a significant difference," says Dr. Tawk. "Instead of a patient becoming disabled, you help that patient turn the corner and get back to their daily life." "This is one of the most rewarding interventions in medicine to see — when you can change the course of a disease and make a significant difference." —Rabih Tawk, M.D. He adds that one of the reasons he believes Allen had such a remarkable recovery is due in part to the unique surgical approach, which was developed based on prior cases. "We learn from our successes and develop new techniques to enhance outcomes for patients," Dr. Tawk says. "Our clinical team documented the approach we used for Mr. Witcher and submitted a paper about it and the results for a scientific publication. Hopefully our work can help others and continue advancing the care for patients like Mr. Witcher in the future." Before he had the stroke, Allen did all the cooking at their house. As he marks the two-year anniversary of his ordeal, Allen's back in the kitchen, and he and Betsy are back to the dance floor and back to their daily walks. "I'm most grateful for getting my life back," Allen says. "We look forward to every new day. And we'll never forget Dr. Tawk and the entire staff at Mayo."